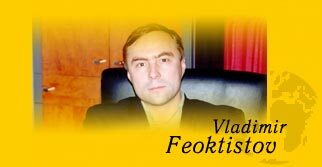 Let me salute you on my own behalf and on behalf of Vladimir Feoktistov, who entrusted me with maintaining his page and describing his travelling, which he tells me about in the evenings over a cup of coffee. However, coffee is usually in his cup, while in mine plays mate or "Japanese cherry". Which, beleive me, is very disposing towards listening. If you, by chance or intentially, have become our guest, it means that you either a traveller (i.e. a person who is not a stay-at-home kind) or a simpatizer. Although, in fact, I admit that any person could visit this web site. And everyone will find here what he or she needs. And we have a lot of interesting things to offer. In the "Expeditions" section, you can take the opportunity to see with Vladimir Feoktistov's eyes the places he has visited and acquire the information about them, which you could hardly come across with anywhere else. On the "Vladimir Feoktistov" page, you will meet the main hero of these expeditions. However, it is difficult to say where is the main hero and where are the secondary ones. We are cognizing the world, and the world is cognizing us. The heroes go to the background, while to the foreground goes the knowledge. In the section titled Photos, this knowledge is illustrated by the colourful documentary pictures characterized by individuality and author's taste. The same can be said about the videos in which Vladimir captured the life of the people "from there", a world absolutely unfamiliar for us. The Photos page also offers you the reference encyclopaedic information on the countries visited by Vladimir. If you have any wishes or suggestions to express, welcome to the Guest Book. The information about our long-term and short-term plans, if any, we usually publish on the Projects page. While in the Links you can find... exectly - the links to the pages having the content related to ours. Well, it seems I have described the technical side of our electronic literary creation. Hope, you will not get lost, and even if you loose you way you will certainly come across with thomething that you need most of all. It always goes this way. Vladimir says that in the world nothing is random; everything that happens must take place exectly now and here. Travelling in various places where people live under unlike laws helps to realize that there is one universal law above all of us. I would not name it - it has many names. However, if you follow it, you are a happy person. You are able to find a common language with wild animals and awesome natives. You are capable of filling that the world is infinitely diverse and single at the same time. You accept everithing. But this is another theme. "Russia is dear to me, with its snows and frosts, rivers and birds, applauding trees under the open skies - Northern, Far-Eastern, near-Baikal - this is forever". 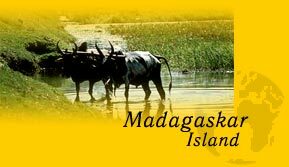 3.04.2002 One of the last of Vladimir Feoktistov's routes went over Madagascar Island. Read the bright illustrated story about this journey in the Encyclopaedia section.